Custom printed badge reels are used in environments where our clients want to extend their company image or brand identity. When your interested in a professional looking image, our custom printed badge reels are the attractive choice for your employees or your promotional give-away. 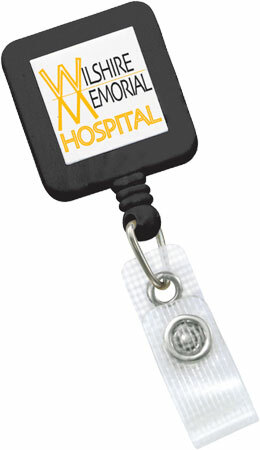 They're ideal for displaying ID cards for easy access. 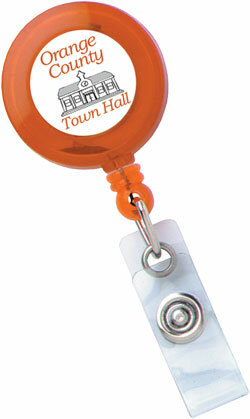 Custom printed badge reels are available in a variety of lightweight styles. Our custom imprinted badge reels feature a heavy-duty spring and durable retractable cord (up to 36") and can be customized with your logo. 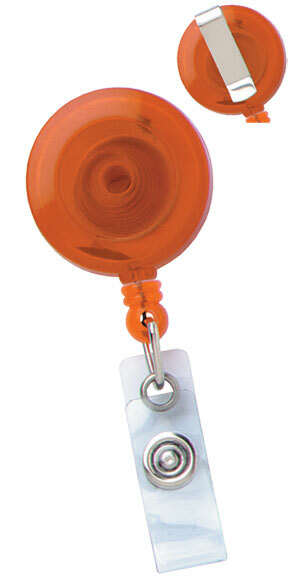 Our badge reels can be attached with either a bulldog clip, spring clip, slide-type belt clip or locking bar pin.